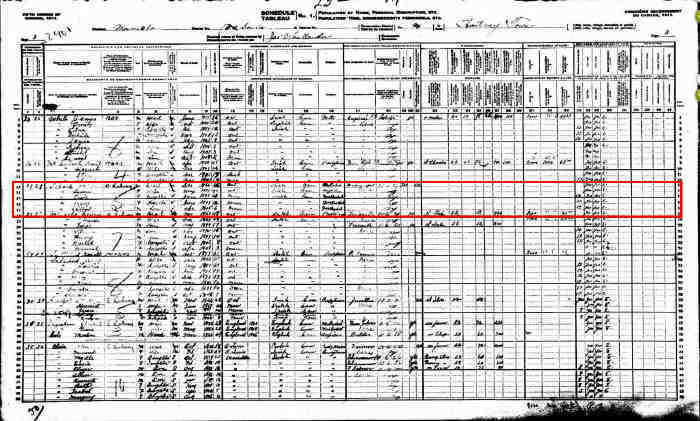 • 1871 Census of Canada: William James, age 1, with father Thomas, age 38, mother Martha, age 3, 1871. 1195 8, and siblings Mary Louisa, age 11, Harriet Jane, age 9, and Charlott e Amelia, age 2. William James, age 1, with father Thomas, age 38, mother Martha, age 3 8, and siblings Mary Louisa, age 11, Harriet Jane, age 9, and Charlott e Amelia, age 2. • 1881 Census of Canada: William James Scarf, age 16, with Robert Pettypiece, age 46, and Rober, 4 Apr 1881. 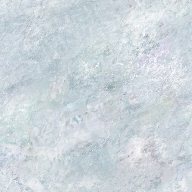 710 ts wife Suzanna, age 48. 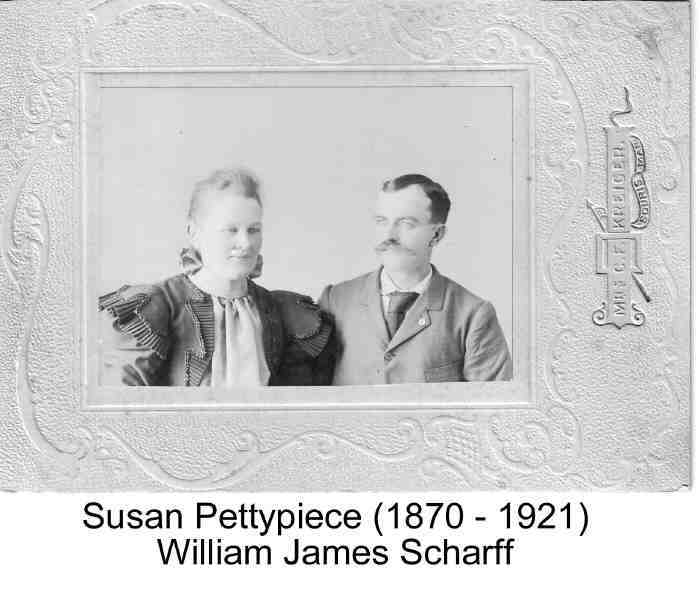 William James Scarf, age 16, with Robert Pettypiece, age 46, and Rober ts wife Suzanna, age 48. 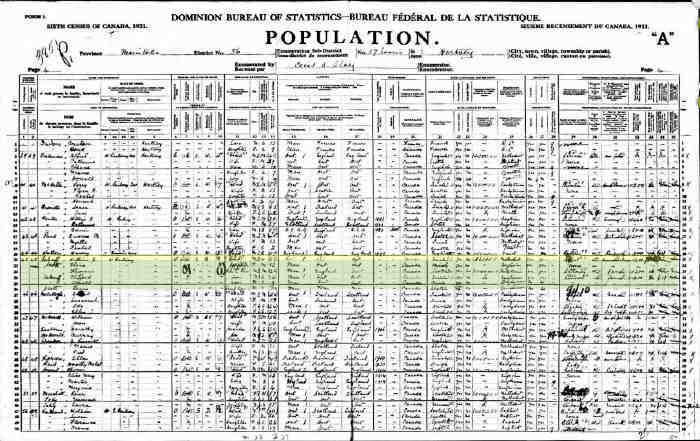 • 1901 Census of Canada: William, age 36, with wife Susan, age 30, children Elsie, age 3, and M, 6 Apr 1901. 729 ary, age 1, with farm Servant Thos Jas Taylor, age 35, and Farm Labour er Ed Taylor, age 22. William, age 36, with wife Susan, age 30, children Elsie, age 3, and M ary, age 1, with farm Servant Thos Jas Taylor, age 35, and Farm Labour er Ed Taylor, age 22. 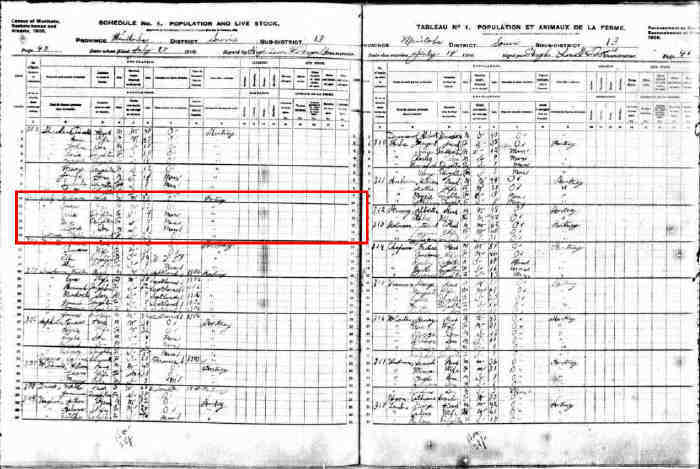 • 1906 Census of Canada (Manitoba, Saskatchewan, and Alberta): William, age 40, with wife Susan, age 33, and children Elsie, age 9, M, 18 Jul 1906. 1171 ary, age 7, Clifford, age 1, with Servant Mable Eastman, age 22. William, age 40, with wife Susan, age 33, and children Elsie, age 9, M ary, age 7, Clifford, age 1, with Servant Mable Eastman, age 22. 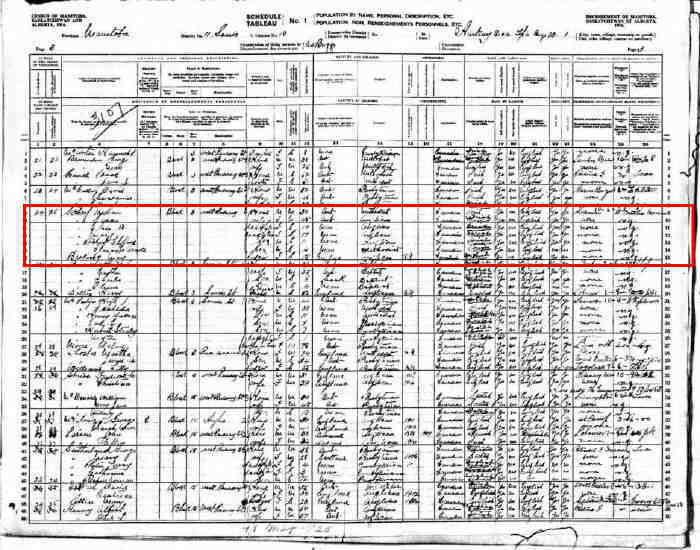 • 1911 Census of Canada: William, age 45, with wife Susan, age 40, and children Elsie, age 13, 1911. 1172 , Mary, age 12, and Clifford, age 6. William, age 45, with wife Susan, age 40, and children Elsie, age 13 , Mary, age 12, and Clifford, age 6. • 1916 Census of Canada (Manitoba, Saskatchewan, and Alberta): William, age 50, with wife Susan, age 45, and children Elsie B., age 1, 1916. 1173 9, Mary, age 17, Robert Clifford, age 11, and Clarance Arnold, age 4 , with lodger May Brokesby, age 15. William, age 50, with wife Susan, age 45, and children Elsie B., age 1 9, Mary, age 17, Robert Clifford, age 11, and Clarance Arnold, age 4 , with lodger May Brokesby, age 15. 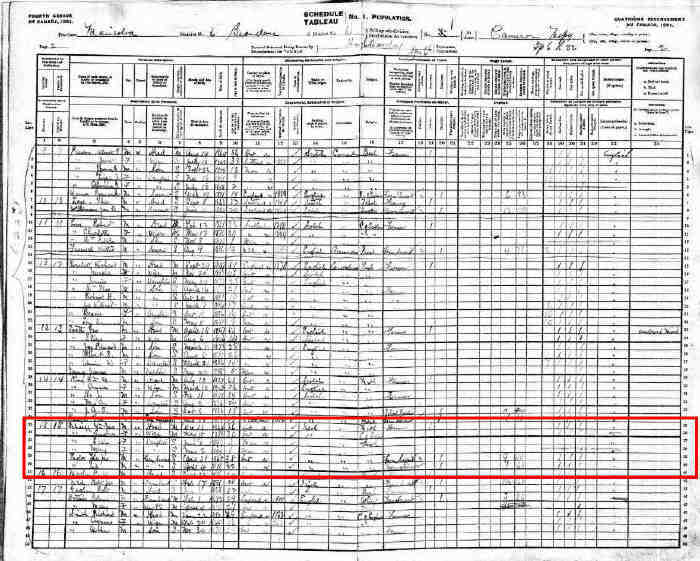 • 1921 Census of Canada: William, age 55, with children Elsie (Scott), age 23, son-in-law Thoma, 1921. 1196 s Scott, age 26, sons Clifford, age 16, and Arnold, age 9, and Elsie a nd Grandson Lewis Scott, age 11 months. William, age 55, with children Elsie (Scott), age 23, son-in-law Thoma s Scott, age 26, sons Clifford, age 16, and Arnold, age 9, and Elsie a nd Grandson Lewis Scott, age 11 months.